Uncharacteristically, I missed the first rays of the sun this New Year. Unlike in years past it was a bright, chill, crisp January morning but I malingered, hung-over in bed from too much good wine and bloated from the unkind afterglow of better food. When I rose, eventually, sunshine pricked my eyes. Light pried my peepers open and begged me to look. An 8 AM sun, even in winter, doesn’t stand up to the freshly unwrapped, dew-speckled, mist-hazed mellowness of early morning. 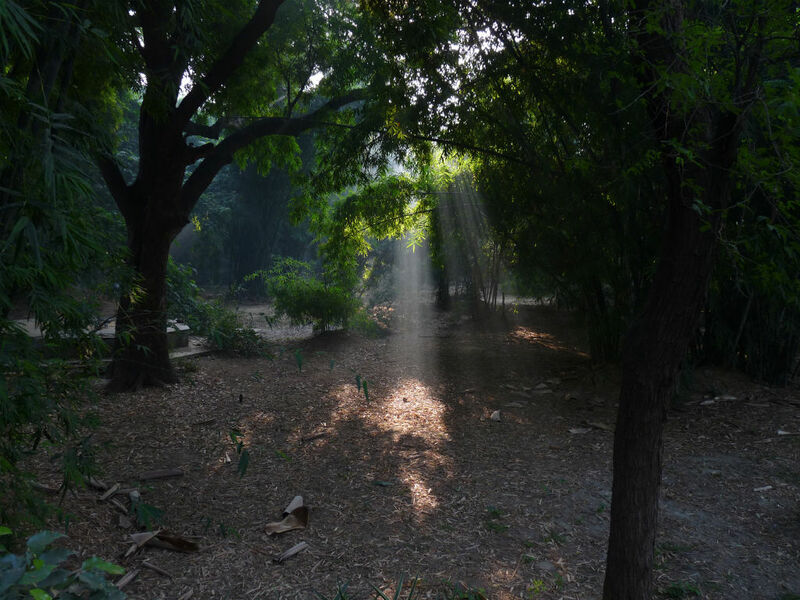 So, with a smidgen each of mawkish longing and awkward penitence, I picked for memory a morning from November this year at Lodi Garden, New Delhi. It was the morning of Diwali, refreshingly quieter than most I have known. With me were my girls – wife and daughter both. Autumn had packed its bags and was waiting at the station for a train that took its time coming. Winter was settling in. The sieve of dark canopies strained a lukewarm sun out of the unwilling sky. Rings of nascent mist hung indecisively, unsure of their cue. It was a morning that begged to stay all day and disappear into me at dusk. And that is the morning I leave you with. Good morning. And Happy 2014.